After marijuana is harvested it need be prepared for use. Other than smoking, the marijuana must be trimmed and decarboxylated. Trimming consists of removing the excess leaves, and decarboxylation is adding heat to activate the desirables prior to processing further in tinctures or using for cooking. Processing marijuana from seed to utilizing, depending upon the methods, entails a fair amount of knowledge and grunt work. It is no way similar to growing tomato plants.The Internet is saturated with information and in many cases must be weighed and evaluated. 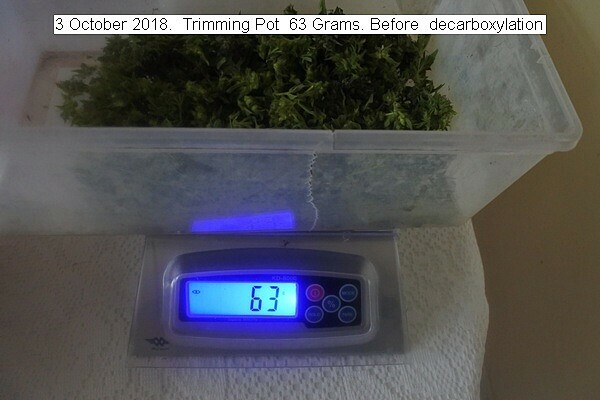 This entry was posted in Uncategorized and tagged 3 October 2018 Trimming Pot, Trimming Marijuana.. Bookmark the permalink.